Follow the latest Cuba news, videos, and analysis from ABC News. 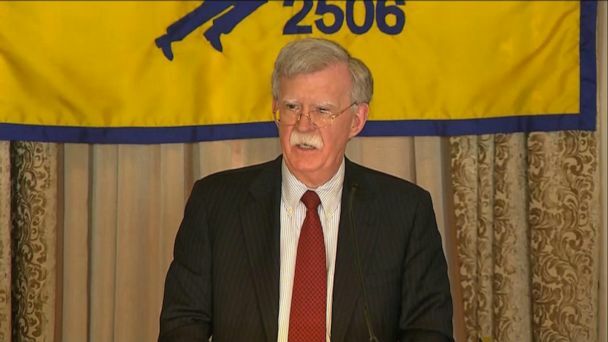 National Security Adviser John Bolton announced a slew of sanctions against Cuba, Venezuela and Nicaragua Wednesday. The Trump administration will be the first to allow lawsuits under a 23-year-old law. 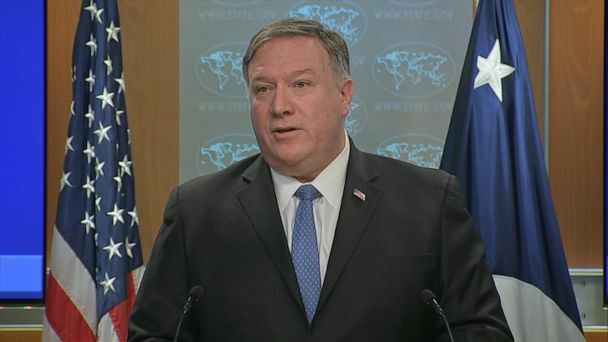 Upping pressure on Cuba, Secretary of State Mike Pompeo announced Wednesday the Trump administration will allow lawsuits against companies using confiscated property. 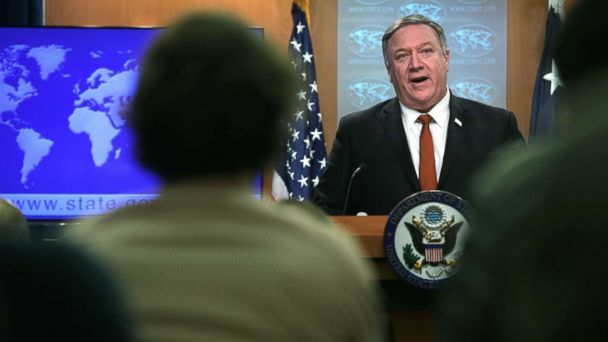 U.S. diplomatic personnel residing in Cuba's capital who felt ill after hearing loud, high-pitched sounds or feeling pressure sensations suffered damage to the inner ear. "Objective testing showed evidence of a balance disorder that affects the inner ear and a unique pattern of cognitive and behavioral dysfunction," said Dr. Michael Hoffer. 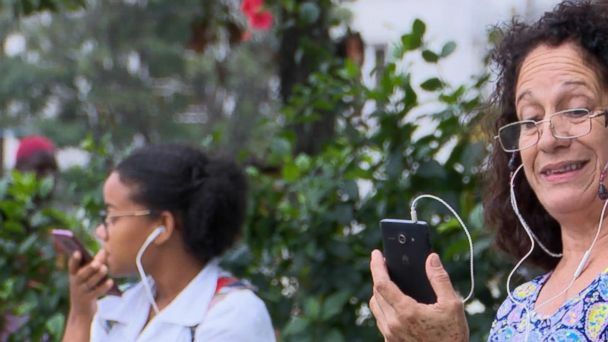 Cuban citizens will now have internet access on their cellphones. 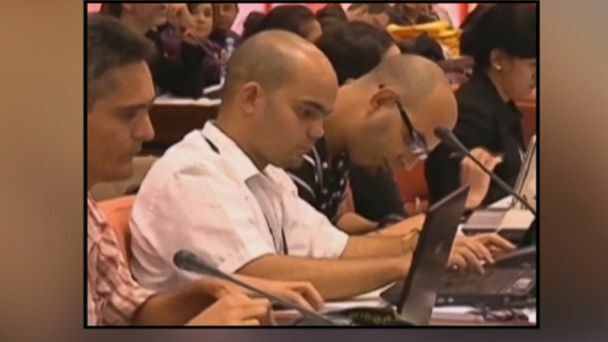 Cuban citizens are now able to access the internet on their phones for the first time. Investigators are still trying to figure out why the plane plummeted from the sky. State media said there were three survivors on the flight, which was heading to the other end of the island. The plane, a Boeing 737 rented by Cubana airlines, had just left JosÃ© MartÃ­ International Airport outside Havana, Cuban state TV reported. Cuba turned the page on a new political era today as Raul Castro stepped down as president and handed over power to his handpicked successor, Miguel Diaz-Canel Bermudez. Who is the president of Cuba? Miguel Diaz-Canel was elected on April 18, 2018. Cubans say they are still grateful for the land reforms and modern amenities Castro's leftist revolution brought. Cuba without a Castro: What comes next as the revolutionary dynasty ends? For the first time in more than 50 years, Cuba won't be led by a Castro. Cuba without a Castro: What comes next? 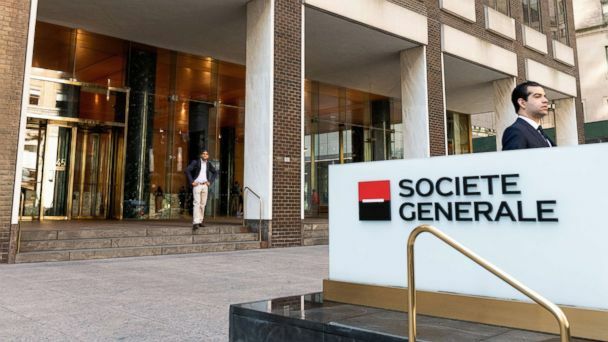 A new report claimed the FBI uncovered "no evidence" of a "sonic attack." The regulations are effective this week. Bruno Rodríguez Parrilla blamed the U.S. for politicizing the attacks. The claims have not been verified. The U.S. is ordering the departure of 15 Cuban diplomats from the country's embassy in Washington, D.C., after 22 U.S. personnel have experienced severe health problems in Cuba. 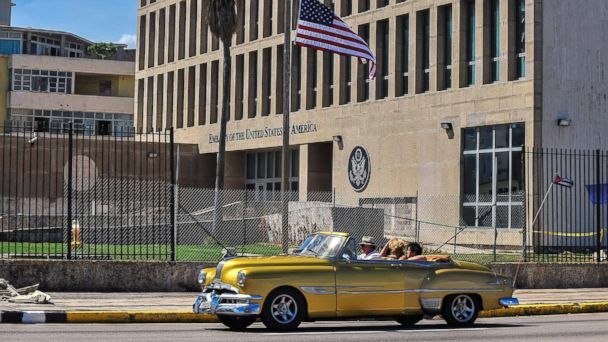 After a series of mysterious attacks targeting U.S. diplomats, the State Department cut embassy staff in Havana by more than half and warned Americans against visiting the country. The U.S. is cutting more than half the staff of its embassy in Havana following mysterious symptoms in specific attacks. Donald Trump followed through on a campaign promise to cancel what he called President Obama's "one-sided deal with Cuba." Some government workers at the U.S. embassy in Havana have brain injuries and permanent hearing loss. The State Department previously said the mysterious attacks had ended. The FBI and other U.S. agencies are now in Havana investigating why at least 10 American staff members and their families, who may have been targeted by a sonic device, started experiencing strange physical symptoms in 2016. 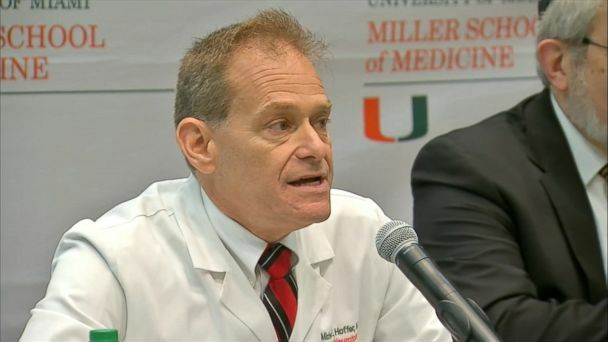 Many diplomats have been rushed home to Miami for treatment after suffering from mysterious symptoms. The United States has expelled two Cuban diplomats following "incidents" that allegedly caused U.S. embassy personnel in Havana to suffer "physical symptoms," according to the U.S. Department of State. The United States has expelled two Cuban diplomats following "incidents" that allegedly caused U.S. embassy personnel in Havana to suffer "physical symptoms." The State Department and FBI are not revealing what made them sick or their symptoms; it appears some officials were exposed to a "sonic device" that caused hearing problems and other symptoms. 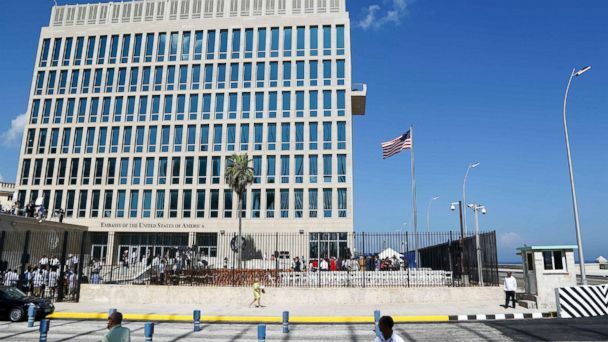 The diplomats were expelled after U.S. Embassy employees in Havana reported coming down with mysterious physical ailments that are now attributed to a sonic device. New policy will undo many diplomatic reform efforts enacted by Obama. After nearly three years of warming relations between the United States and Cuba, President Donald Trump has announced that his administration will unravel many of his predecessor's policies on the communist state. The president is expected to unveil a new restrictive policy on Cuba, rolling back many Obama-era changes. ABC's Serena Marshall reports. They point to keeping Cuba open as a "matter of U.S. national security." A top Trump aide suggested Trump intends to keep his campaign promise to repopulate the detention center at Guantanamo Bay.